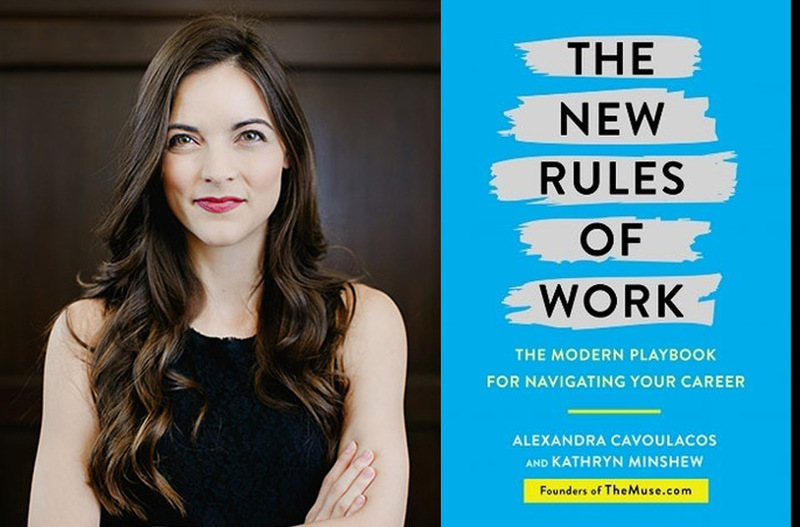 This week, the Greater Raleigh Chamber of Commerce’s Professional Women’s Luncheon featured Kathryn Minshew, CEO & Founder of TheMuse.com. TheMuse.com is a career platform used by hundreds of companies looking to hire or grow their employer brand and over 50 million people looking for jobs, professional skills, or career advancement. 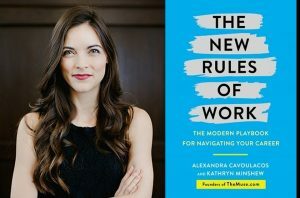 The New Rules of Work by Kathryn Minshew was published this month and has already been ranked by Inc as one of this year’s game-changing books for business. Start with your values. If you’re considering a career change, don’t focus on the function or role you want. Think about what you value in a career (flexibility, prestige, compensation, stability, etc.) and determine what careers have those traits. Take charge of your own career. If you have an idea of where you would like to be in your career in the next few years, look online at job descriptions and job postings for those positions today to see what skills and experience you will need to have. You can also “test drive” that future career by reaching out to someone in that type of role and asking for an informational interview. Informational interviews allow you to get a behind-the-scenes look at what that career is really like. Don’t be afraid to ask about the negatives of the job. Those can be just as important as the positives. Your work won’t speak for itself. Manage Up: Schedule regular meetings with your manager to ensure that your projects and goals are aligned with theirs. Regular face time with your manager also provides an opportunity for you to advocate for the responsibilities and goals that you want to achieve in your role. Network: Networking is not about meeting as many people as you can to get what you want; it’s about establishing meaningful relationships. The next time you attend a networking event, don’t make it a competition to see who can collect the most business cards. Make it your goal to have at least three interesting conversations with three different people. Track Your Success: It’s nearly impossible to remember every proud moment in your career. Have a file, notebook, or some way to track your accomplishments, success stories, compliments from clients or coworkers, etc. Never stop learning and growing. There are over 1,000 online sources of professional training through various professional and academic institutions. The new world of work allows you to have access to tools and resources to build a career that you truly love. We were excited to sponsor this luncheon because we have seen firsthand how the process of searching for and finding a new career is constantly changing. Some of the top jobs today didn’t exist just a few years ago, and there are hundreds of different places to look and apply for positions. Looking for new talent can be just as overwhelming as looking for a new career, and finding the best way to navigate it all can seem impossible. Whether searching for talent or searching for a career, Greene Resources would love to help you navigate through the new rules of work.